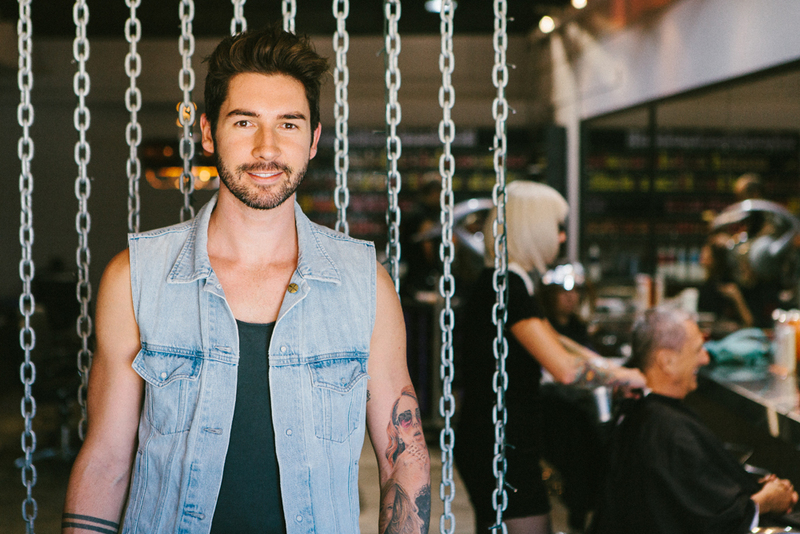 Is This Brisbane’s Coolest Hairdresser? Horse meat has been all over the place lately hasn't it? From Verema's sad demise, to the Mr-Ed-meat-in-burgers scandal in Ireland (seriously guys, stick to potato), it is certainly a topical protein. Thankfully, Horse Meat Disco Salon, in the very-soon-to-be-too-hip-for-me Stones Corner, gets its name from another way cooler equine-related source: the extra hip Horse Meat Disco in London. All of that aside, since opening in 2012, Horse Meat Disco Salon is quickly becoming a Brisbane—and TUL—fave for their super cool hair transformations. 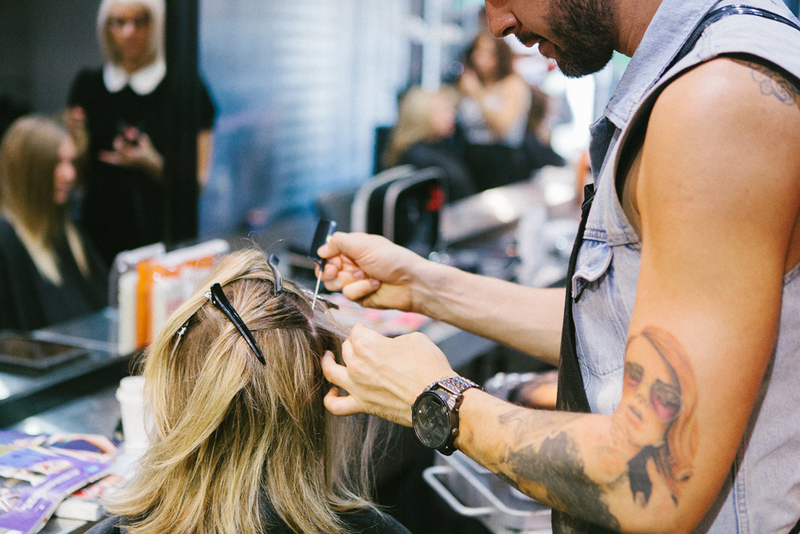 We caught up with salon director Mikey Forster to chat about the year that's been and what 2014 holds for the cut and colour maestros. Just how cool are you guys? We think we are only as cool as our customers think we are. We wouldn't be anywhere without our loyal band of clients and great team, and 2013 was a great year for us; we retained great clients and gained some new ones. We are always excited when our clients appreciate the hard work we put into breaking boundaries, and being individual. Horse Meat Disco is a DJ club in London that embodies the spirit of the NY disco era (80s & 90s): inclusive and celebrating all differences. 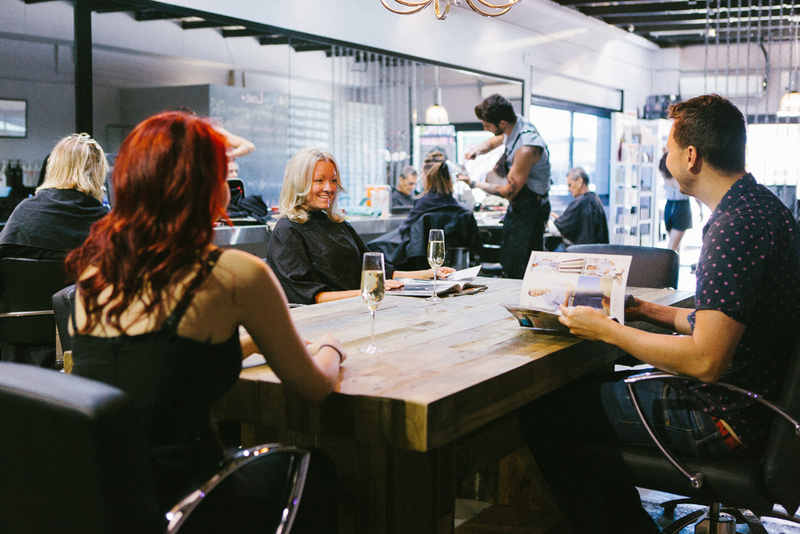 It's about feeling comfortable to not have to fit in, and that is definitely part of our ethos at the salon. We just thought the name fit perfectly. Plus, the disco is fun, outrageous and spontaneous, so we bring the party too! Everyone's focused on New Year's resolutions at the moment. What's your 2014 hair philosophy? 2013 was the year of 'The Follow'—channeling those coveted trends— 2014 is back to the year of being you. Tell us what you truly want and we'll tell you what we truly think, and together we will turn it back and make 2014 the year of 'you'. What are your top colour picks for 2014? As far as colour goes, we are going to be looking at beautiful cool golds, which can be worn both Spring/Summer and Autumn/Winter. Natural colours are still really hot right now but with 2014 comes the focus on the individual and we can expect to see some mahogany tones in those natural looks to create a bit of excitement. Wella's Illumina range is an excellent choice for all of this year's coming colour trends. But they are also introducing a new product color.ID, which will change the way we colour hair with no limits and no boundaries! That's why 2014 is all about the client and their individuality. TUL readers are big fans of haircuts at Horse Meat Disco Salon by Nicole. What are the rest of your team's specialties? Nicole is our senior stylist with more than 7 years industry experience. She does amazing work on both men and women. Darby is a junior stylist (soon to become senior!) specialising in women's cuts and colour. Our apprentices Brittney and Ash are great at colouring/styling and cutting, respectively. Which cuts will be we see on heads this year? Nicole says that laidback fuss-free mermaid hair and chin skimming bobs will be really popular in 2014, while Darby says to lop off those locks and embrace a short versatile crop. Experiment with length in the front and shorter layers in the back. This is trend's inspired by celebrities such as Michelle Williams, Jennifer Lawrence [Editor: We love J-Law!] and Pamela Anderson. Azealia Banks is the QUEEN of the mermaid hair. She's been rocking it for years! Since opening in 2012, you've had two salon expansions. What has been the highlight of 2013? Yes, we've had a really great couple of years going from quite a small operation to a full service salon where we offer dedicated cut and colour areas. We've also had an increase in team members for 2014 with a range of service levels available from director, senior and junior stylists. We also now offer student discounts. 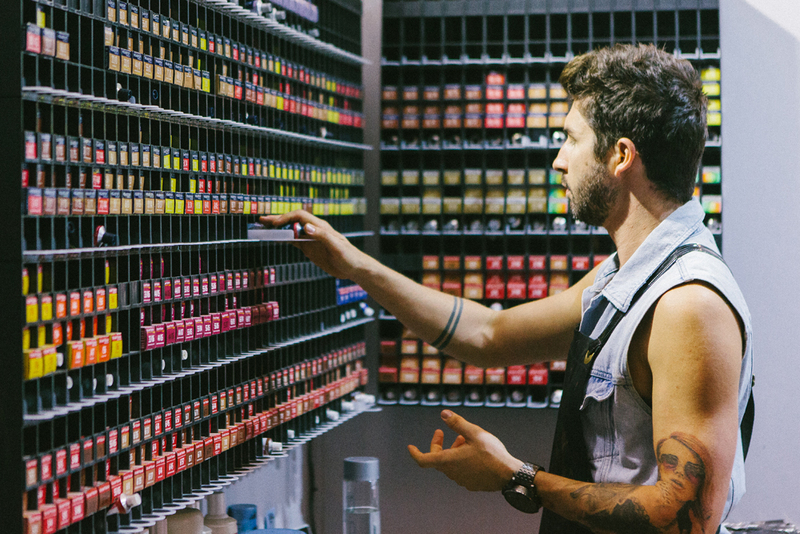 You are one of the youngest members of the Wella Colour Club, and salon go-to-guy when it comes to colour. What's your favourite part of the various roles you play? I've been working with Wella for nine years now but lately I've also been doing media launches and live education stage shows, which is really exciting. But I absolutely love being able to experiment with new colour technologies. It means that Horse Meat Disco salon has access to colours that aren't even available on the retail market! TUL Note: Today's List Love post is proudly sponsored by Horse Meat Disco Salon and endorsed by The Urban List. Our sponsored posts will never be a secret - the List Love seal will be stamped on any sponsored material you see on the site. Thank you for supporting the sponsors who make The Urban List possible.